How do some people overcome fears and insecurities to manifest their dreams? What are the characteristics that allow them to completely transform their lives from one of stability to one of uncertainty and adventure? Don't we all entertain ideas of reinventing ourselves, of having a chance to do it differently and by our own rules? Would you listen to The Boy Behind the Gate: How His Dream of Sailing Around the World Became a Six-Year Odyssey of Adventure, Fear, Discovery and Love again? Why? YES! 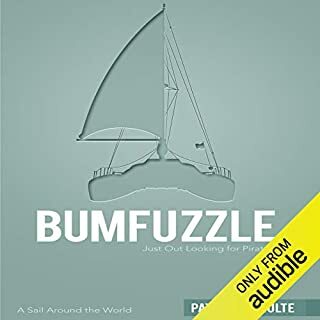 In fact I plan on bringing it with me when I eventually depart on my own multi-year sailing journey...which I finally have decided to do BECAUSE of this book. 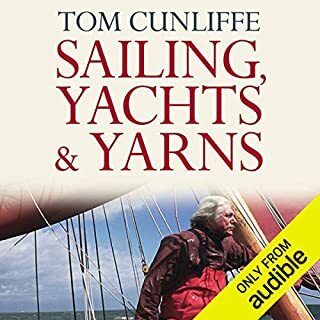 I expect to listen to this book many times, especially once I go off cruising. 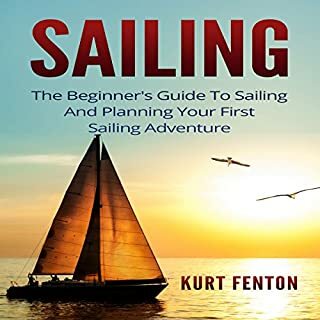 There are so many important lessons in here for a sailor, and many of them I don't think I can fully appreciate until I get out there and do it myself. Larry's perseverance in pursuing his dream, his never-give-up spirit even in the most challenging circumstances, and the moving humanity of the key players. 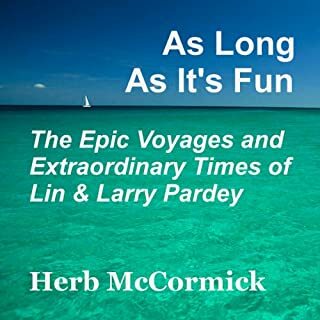 I felt that I came to know Larry, Ken, and the other people in the book, and I was sad when the book was over - I wanted to keep them in my life and continue experiencing their adventure through his words. What I finally realized is that I CAN experience this adventure, by doing it myself! I would not have had the nerve to even consider it had I not heard Larry's story. Now, my husband and I are planning our own multi-year cruise on our own boat. And I have Larry and this book to thank for it. What does Larry Jacobson bring to the story that you wouldn’t experience if you just read the book? His passion, his melodious voice, and knowing that I was hearing the story directly from the person who lived it, not just in his words, but from his own mouth. 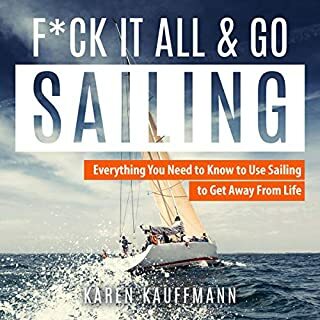 Since my husband and I first started kicking the idea around of quitting our jobs and sailing around the world, I've been consuming books written by sailors who did this as fast as I can find them. 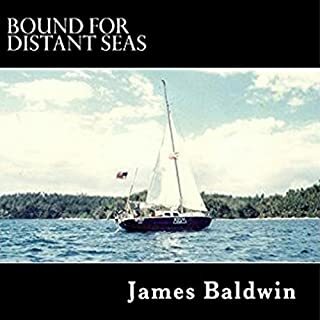 This must be the 5th or 6th book I've read that was written by sailors who've done this type of journey, but NONE of them moved me like this book, nor gave me the final push to actually resolve to do it. 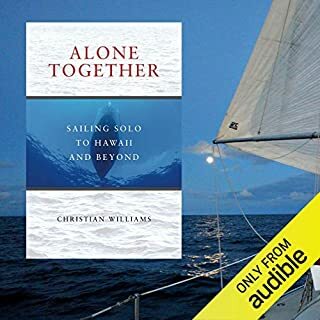 This book is a perfect combination of useful information for boaters, along with a powerful, moving human story of a man who not only finds happiness at sea, but learns that he actually had everything he needed for happiness within him to begin with. The love story between Larry and Ken is slow to build, and in the end this is what makes it so beautiful - it wasn't a fast-moving, rushed romance but a lovely, unhurried, deepening relationship that developed during the course of an incredible adventure. I enjoyed the in-depth view into the personal life of someone I'd never met, and I ended up feeling like I'd known him forever. As for the adventure itself, I can't think of a single book in which I felt quite so much like I was WITH them. His descriptions of the exotic places he visited are evocative and rich with detail. I lived every experience, I saw it through his eyes, heard it through his ears, smelled the pungent smells, felt the fear and the elation. As an avid scuba diver myself, I felt like own my lungs were about to explode during the dive incident when Larry got twisted up in line and almost ran out of air (and I wanted smack him for breaking so many basic rules for divers!). I titled this review "This book changed my life", and I truly mean that. It is this book that convinced me that we can DO this - and that we SHOULD do it, sooner rather than later. Larry is imperfect, he made mistakes, he offered many cautionary tales - and yet he succeeded in living a dream that only a tiny fraction of humans will ever get to experience. Well, thanks to Larry, I intend to be one of them. But even if you never intend to do this yourself, listening to this book will serve as the closest thing to it. What made the experience of listening to The Boy Behind the Gate: How His Dream of Sailing Around the World Became a Six-Year Odyssey of Adventure, Fear, Discovery and Love the most enjoyable? Larry's book will transport you to another world, through a range of emotions, highs and lows....what an amazing gift!!! 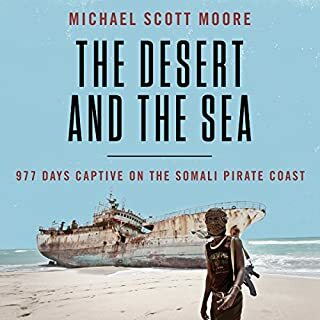 Where does The Boy Behind the Gate: How His Dream of Sailing Around the World Became a Six-Year Odyssey of Adventure, Fear, Discovery and Love rank among all the audiobooks you’ve listened to so far? Right at the top. 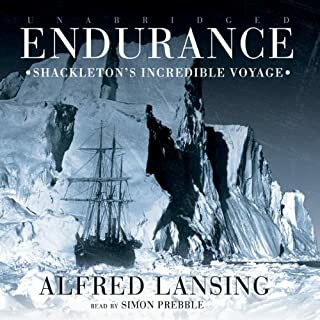 I couldn't stop listening...What an amazing tale of an ordinary guy who followed his heart into a world class adventure. 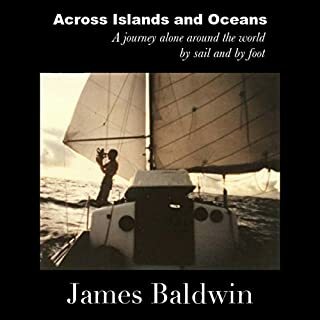 What other book might you compare The Boy Behind the Gate: How His Dream of Sailing Around the World Became a Six-Year Odyssey of Adventure, Fear, Discovery and Love to and why? Have you listened to any of Larry Jacobson’s other performances before? How does this one compare? This is my first, so I really cannot compare to any of his others. Larry's brush with Pirates and the difficulties they encountered around keeping the boat repaired and functional had me thinking I'd have quit the trip many times over. His courage in the face of tall odds was very impressive, especially during some of the horrendous storm crossings. At the top! Definitely one of the best. 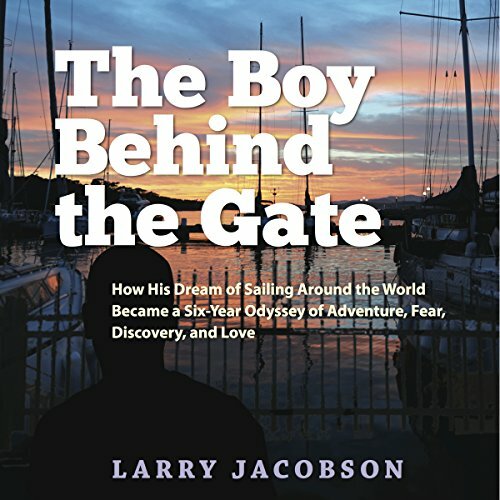 What was one of the most memorable moments of The Boy Behind the Gate: How His Dream of Sailing Around the World Became a Six-Year Odyssey of Adventure, Fear, Discovery and Love? Do I have to list just one?! I love all of the open-water swimming scenes.. I hope Larry decided to write more books! Larry is an inspiration. What did you love best about The Boy Behind the Gate: How His Dream of Sailing Around the World Became a Six-Year Odyssey of Adventure, Fear, Discovery and Love? 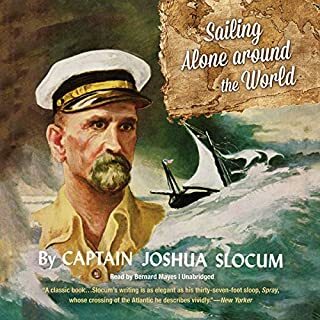 I have listened to Mr Jacobson in a lecture once and found his experiences to want me to set "sail" in my life but then made me realize that I have been at sea, in a boat, but do not have my sail up or going in any direction all the while. If you enjoy a great story, crisp prose, and a poignant memory then you should put the Boy Behind the Gate at the top of your reading list. The author draws you in and you quickly get to know him and appreciate his courage and his sense of adventure. I liked the honest self-reflection and the courage the author had. If you just read the book, you'd be happy to have read it. If you listened to the book, you'll feel even closer to the story. 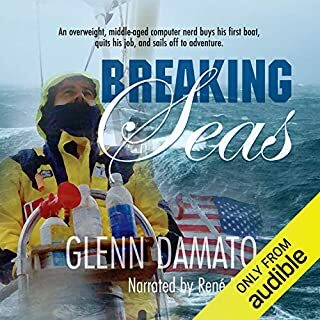 This is by far one of my favorite audio books as well as one of my favorite sailing books. The author does an amazing job of inspiring all of us to stop dreaming and start living. I had to laugh at the maintenance stories... cruising really is working on your boat in new and exotic places. The transit of the Persian Gulf was pretty amazing... I found myself feeling growing anxiety along with Captain and crew as they prepared for their departure. What about Larry Jacobson’s performance did you like? It's clear that the author is a sailor's sailor... well prepared and confident. That comes through in this performance. I'm looking forward to his next book. The entire book was a kick in the pants - get up and get moving. The time is short. I thoroughly enjoyed this story and wanted the adventure to continue. I felt I was truly along for the ride, which was FUN and scary at times. The people and places were so colorfully described that again, I was along for the ride, and felt a part of their experiences. Larry takes us through his decision to make his dream come true with honesty. He proves that with perseverance and determination, anyone can overcome their fear of failure, danger, or the unknown and reach out for whatever it might be that we dream of doing or becoming. I was inspired by Larry's journey...from decision to execution! 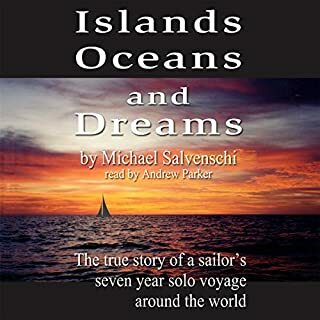 Would you consider the audio edition of The Boy Behind the Gate: How His Dream of Sailing Around the World Became a Six-Year Odyssey of Adventure, Fear, Discovery and Love to be better than the print version? Hard to say... it really depends on the situation... By the time the book was finished, I felt like I knew most of the characters as real-life friends. They were so well-defined and the dialogue was fantastic! If I had to choose a favorite, it'd be a TIE between Femke and Ken. They both just CRACK me up! I love them! I giggle EVERY time I listen to the story about the crew catching all those mahi-mahi on the way to Fiji. Femke was getting soooo upset over the "murdered" fish... "Ohh, the sweet, dear, poor fish." And, Larry had NO sympathy for them whatsoever. Poor fish! ...yet, they STILL made a couple of "foreigners" feel welcome. And, they STILL gave what little they had to others who had less. People like those give me hope for this craziness we call "society" nowadays. That 'stuff' in our heads... our deepest fears, biggest dreams, most humbling experiences... the vast majority of us would NEVER risk rejection by sharing that 'stuff' with the people around us. We certainly wouldn't put it out there in a book where we'd be subject to judgment by people we don't even KNOW. But Larry Jacobson did just that. He wrote an amazing book, in which he honestly -- and sometimes humorously -- shared his fears, his dreams, and his most humbling experiences. And what a story it was! I found myself examining my OWN life -- and that's not a bad thing. Larry has taught me that life IS risky. Life SHOULD be risky. And, if we don't take risks... we're not truly LIVING. Thanks, Larry! Realizing that a middle age man can follow his dreams. 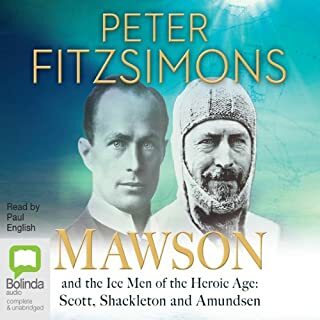 from start to finish, I could barely turn this audio book off. It's clear why Larry is now doing motivational talks. his enthusiasm, honest and go get attitude is an inspiration. after reading this, I shall certainly be planning my own adventure over the coming years. Would you try another book written by Larry Jacobson or narrated by Larry Jacobson? Who might you have cast as narrator instead of Larry Jacobson? Frustration at his bitching and griping, i could care less about his sexual inclinations, but the constant moaning from a man with all of the toys a man with a 50ft boat could buy and none of which he could fix! Just drove me nuts. What did you like most about The Boy Behind the Gate: How His Dream of Sailing Around the World Became a Six-Year Odyssey of Adventure, Fear, Discovery and Love? The honesty expressed in the book. He didn't hold anything back, when he made a mistake, he explained it in the book. He learned a lot on this voyage, and it was enjoyable to go on that journey with him. Ken. Ken has to be the hero of the piece. Both for patching up Larry's heart (as it were) and for patching up the boat. What does Larry Jacobson bring to the story that you wouldn’t experience if you had only read the book? 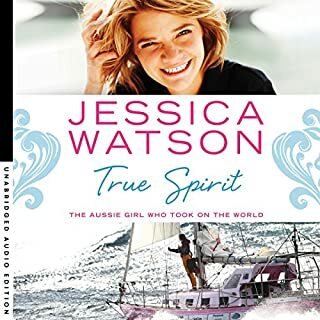 I always think the best audiobooks are those read by the author. It may not be quite as professional and polished, but is more real. Someone else mentioned that this book was a little heavy on the 'inspirational speaking' aspect, and I agree, it was a tad. But it wasn't dripping with it, and you soon learn that that is just Larry. For him, it's not all about his story, but also motivating others to have their own story. And that's really cool. I also really appreciated that Larry is clearly gay and made no effort to hide it or play it down. If you struggle with that, well, get over it. I found it very refreshing, and very real. 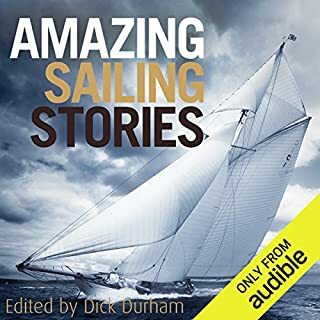 Yes, lots of sailing tips in a highly entertaining package. This will be well worth another listen. It's alway instructive when Larry relates how simple errors can lead to such big problems when at sea - a slightly misaligned engine, causes such expense - losing the anchor by extending too much chain, gybing with a hatch open or more seriously when his diving gear gets entangled in a stray mooring rope or the potentially fatal decision of swimming down-current when diving. It's a very honest book and having it read by the author is that much more affecting. This is a very funny book with lots of laugh-out-loud moments. It's also very moving as the author is totally honest and open about his relationships. 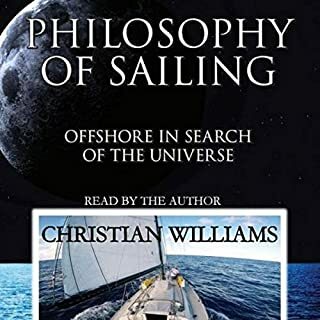 Full of wisdom - about sailing and about life. (b) too in-your-face with unnecessary detail about the author's gay relationships; were he straight I still wouldn't want to know how long his lover made him wait before sleeping with him, etc. So good, I had to listen to it twice. 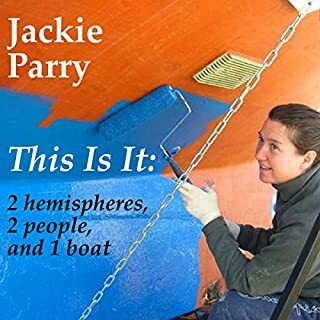 An amazing account of Larry's round the world journey from the highs and low of circumnavigation. Great insight into places to visit whilst cruising along with much to learn about boat handling. The story has also been very well written to convey the emotions felt along the way.